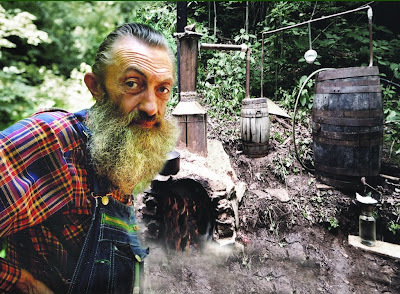 Yesterday morning, in the hills of eastern Tennessee, world-renowned moonshiner Marvin "Popcorn" Sutton was buried during a small private service. According to Costner-Maloy Funeral Home, Popcorn left detailed handwritten notes about how he wanted the service to be conducted and who he wanted to be in attendance. He was laid to rest next to his mother and father. 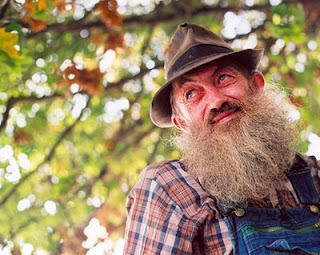 Popcorn Sutton's final rest came a little more than a day and a half after he took his own life at his Parrottsville, Tennessee home. He had been directed to report to federal prison this Friday to begin an 18-month sentence for manufacturing untaxable alcohol. Popcorn had told the judge during his sentencing that he would rather die at home instead of dying in prison. 1948 - 2009Popcorn Sutton passed away at home Monday, March 16. According to his wishes he was buried quietly, privately, without fanfare, at a place that held great meaning for him. He is dearly missed and well-remembered. Those who were closest to him remember a kind and thoughtful man, independent in spirit to the very end. Rest in peace Popcorn Sutton. You were a good man doing what he loved. May all of us heed your example.